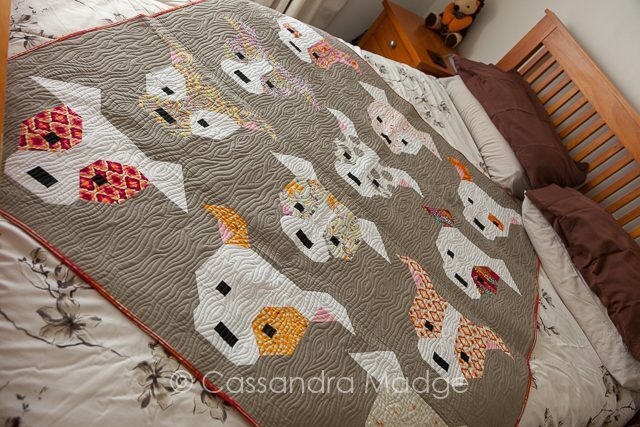 What a long time in the finish this quilt was! 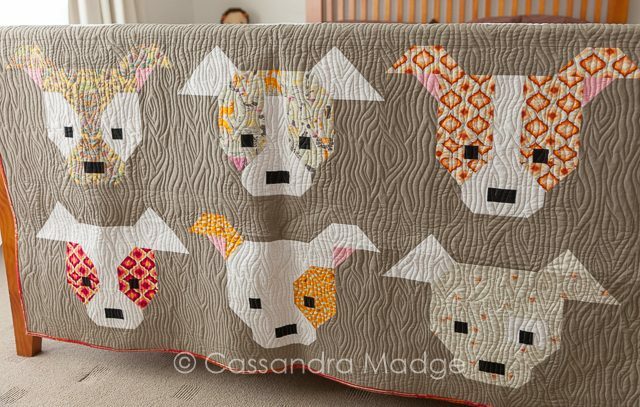 It started with the Dog Gone Cute pattern from Sew Fresh Quilts and grew from there. I knew I wanted to use my warm colors from Tula Pink’s Moonshine fabric range for this. 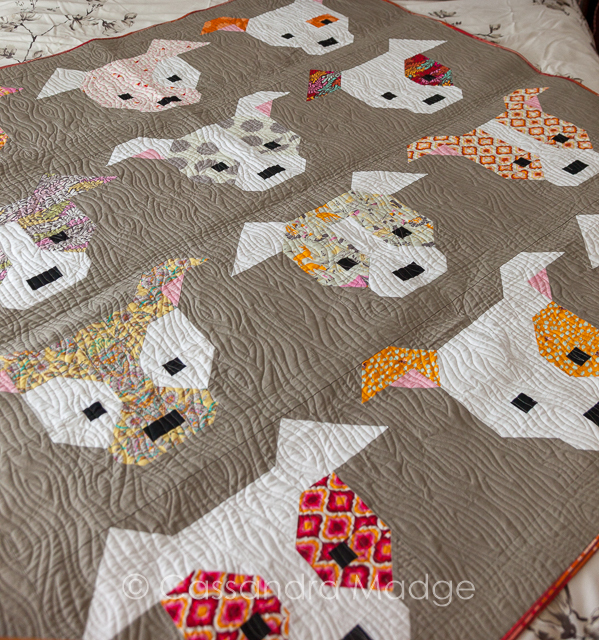 Bbecause it was always going to be used for my fur-babies and their daddy, I went with a khaki coloured background to enhance the fabric colours and to disguise the markings from daily use. Back in September 2017 the finished quilt top (with backing and binding) went into the quilting pile, waiting for a turn. I was really excited to finish this baby off and it hasn’t disappointed! 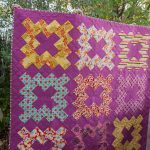 I freehand quilted a woodgrain pattern over the whole quilt. It has given it so much texture and “scrunch factor” which is one of my favourite parts of a quilt! 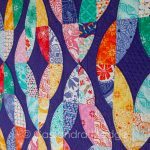 I always love how different a quilt looks once it’s been quilted. 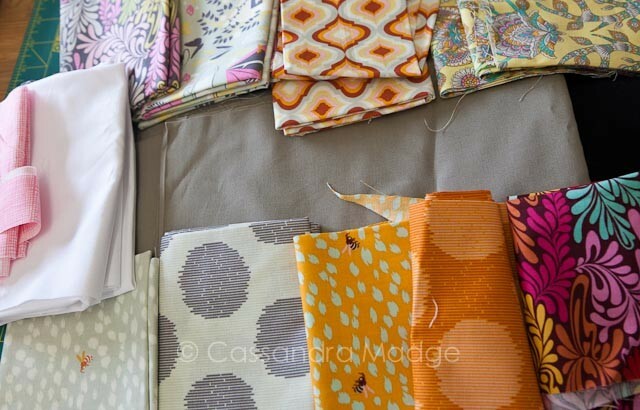 The seams and joins between blocks blend away and the finished product always looks so unified. Some of the prints don’t stand out as well as others on the puppies, mainly the mid-tone fabrics, but that’s a design flaw that I should have been more aware of when I was picking fabrics. 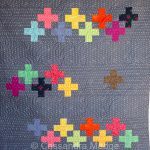 To be honest, I thought most of the darker colours would be too bright on the finished product, so that shows what a difference quilting makes in the end. I was really excited to work out that I could use some of the neutral toned bee print for the quilt label on the back of the quilt. Labels are such an important part of the history of our projects, especially when they may be gifted and passed on through another family. 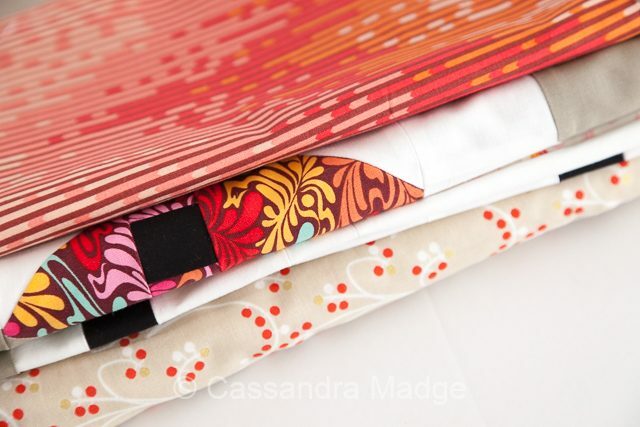 I have a tutorial that shows you how to add quick and easy quilt labels, I use it every time. 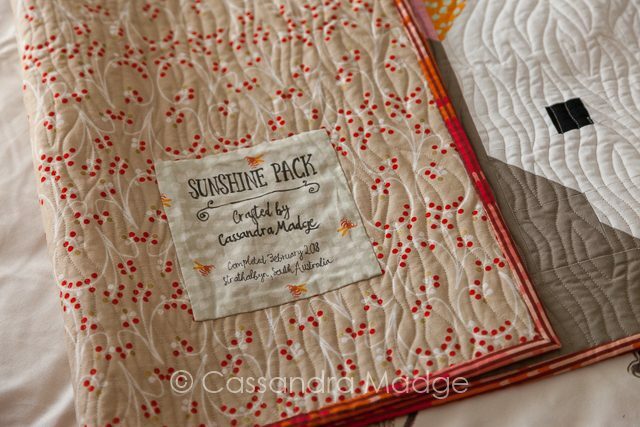 See it here if you need some help labelling your quilts. 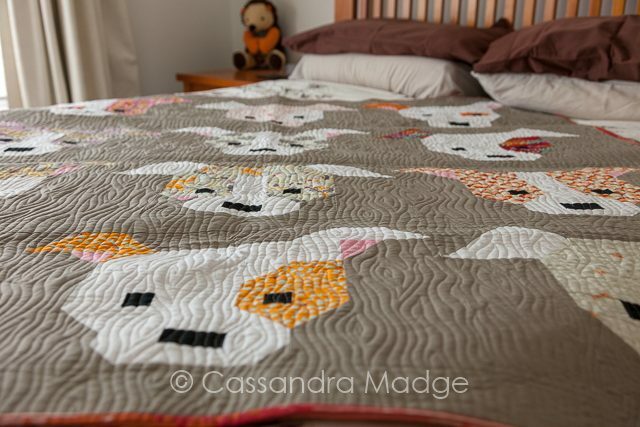 Overall, I am really happy to not only have another finished quilt off the pile of tops, but to be able to give my partner and our babies something special just for them to snuggle in. There’s just nothing quite like that feeling. What is your favourite thing to gift to other people?